Baby O's favorite new song is 10 Little Monkeys Jumping on the Bed. 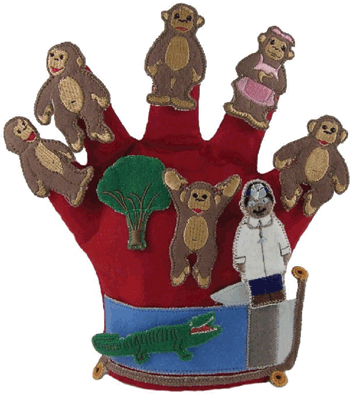 I saw this cute glove and I think it would be fun to make one someday. you are going to be very busy "someday" cmd. I love that little song. Does he know how to count in English yet??? ?